Every time politicians say “we must do something”, fighter jets and missiles fly, the stock market soars and thousands of innocent people die. Someone discovered a way to turn flesh and blood into money, power and fear. Those bombs dropped in faraway lands aren’t only killing innocent people and destroying their countries. As Martin Luther King Jr. indicated, they also explode above struggling people among us: They take away food, health, houses, education and other basic human rights from us as our resources are pouring into deaths and destruction. The dehumanised image of and hatred against the enemies turns into fear against ‘others’ in our communities. It exacerbates divisions and sufferings, solidifying the invisible racial and economic caste system that puts the whole process into a cycle of folly where people fight among themselves, wasting their last drop of resources in strengthening the cycle. Black and brown children being gunned down by law enforcers at the pace of lynching from the last century, and Black people who are incarcerated at a scale surpassing the apartheid in South Africa allow us to have a glimpse of brutal hierarchy controlled by fear. What’s the difference between Christopher Columbus chopping off indigenous people’s hands and heads to enslave, and blasts of Tomahawk missiles shot by our presidents amputating and decapitating in Africa, Middle East, Asia and elsewhere? There is none. The label put to Indians, “soulless creatures without faith”, was replaced by “barbaric killers of Islamic faith”. Both labels are completely baseless, dehumanising, and self-serving. The ruthless violence is being committed to colonise people with fear and violence, serving the select few sitting at the top of the pyramid. Politicians take our human rights hostage. They use our rights as bargaining chips. They talk about racism, worker’s rights, economic justice, social justice or even peace, but their grip on the hostage is very tight. The words being used to draw people into the system are coming from the politicians who approve the bombings and exacerbate the economic war against the ones who suffer. The dire situation makes the role of elected officials negotiators at best. Instead of empowering people with their inherent human rights, they make deals with ruling elites, saying that they should at least bring food and water to the people otherwise they will revolt. In turn, people worship the negotiators and keep begging for mercy. We live under a feudal order. We live in the darkest of the dark ages. How do we make it the darkest before the dawn? How do we overcome our fear that binds us in the imperial cage and blinds us to our humanistic potential, the potential to realise a truly democratic society for all people, where we share and understand each other, instead of a society where division, scarcity and pain are valued as sources of power. How do we spread the excitement and hope of stepping out of the cage? How do we educate each other to separate irrational fears forced upon us by the ruling elites from healthy fear of the unknown lying before a new era of humanity, a fear that vanishes as it turns into an urge to act. What is the first impression you created for this man in your mind? an ignorant Muslim from a third-world country? The modest man in the photo is Professor Hussein Abdul Sattar. One of the chief professors in pathology in the University of Chicago and the creator of Pathoma video series which is one of the most famous sources of studying Pathology (the study of diseases) throughout the world. 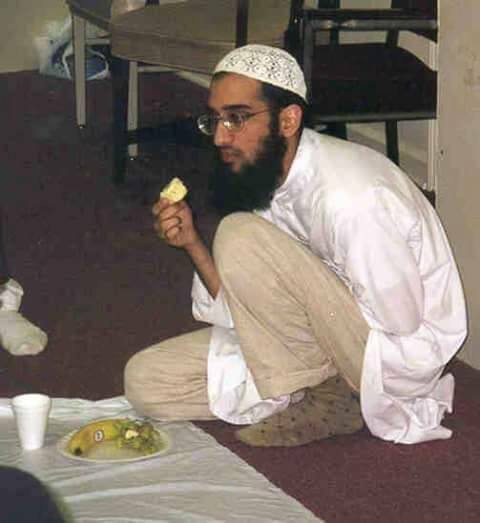 He is also a renowned Shaykh in tasawwuf (mysticism / theosophy) therefore known as Shaykh Hussein Abdul Sattar. Technically, this man is a teacher of tens of thousands of medical students around the world. Was Omar Mateen Religious ? 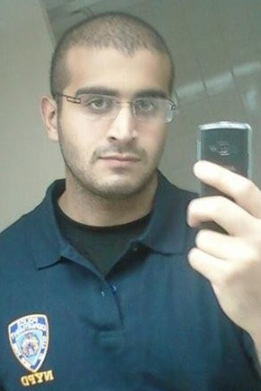 It has now been confirmed, by multiple sources, that Omar Mateen, the shooter in the Orlando massacre, was himself gay. He frequently visited the same club that he committed the massacre in, and he attempted to initiate dates on a famous gay-dating app. Additionally, he was born and raised in America. His wife, father and community have all claimed that he was not religious in the slightest. Multiple eyewitness reports indicate that he would get drunk at the very club he committed the massacre in, and would have to be kicked out because of his unruly behavior. Colleagues and acquaintances have mentioned that he was a loner, a social introvert, and prone to make violent statements and threats against other people. His wife left him because he beat her and was physically abusive. Yet, the media continues to ask questions about ‘radical Islam’ and about Islam’s stance on homosexuality. What blatant hypocrisy! He wasn’t a ‘radical Muslim’. He was a mentally deranged psychopathic American closet homosexual who was battling with his sexual identity. Instead of concentrating on his mental issues, and on the easy gun laws that our country is notorious for, politicians and media pundits wish to cast all of that aside, and choose the easier target of questioning his faith, and of Islam’s stance on sexual issues. The guy was mental, plain and simple. Islam’s stance on homosexuality is IRRELEVANT to this massacre, period.